Leaders are readers! 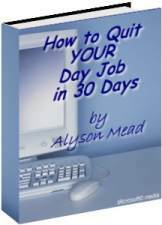 Here is a great selection of home based business books for your enjoyment and learning. Success in your home based business isn't about your formal education however, I am a firm believer in being a lifetime learner. Books are invaluable. Just look at any successful person and you can almost bank on the fact they either have a large library themselves or they utilise someone else's library. The Renegade Network Marketer by Ann Seig is a book I wish I had written. She explains simply and clearly what I have believed for many years. You CAN build your business with integrity without feeling like a used car salesperson. You can attract people to you and actually have them PAY YOU to prospect them. Rather than spending money to get people into your business, you can put cash in your pocket upfront instead... regardless of whether you sponsor them or not! 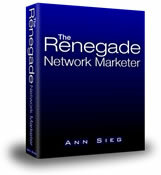 The Renegade Network Marketer is a must for any serious networker. Rich Dad Poor Dad: Excellent for basic grounding and understanding. Cashflow Quadrent:Brilliantly explains how business works and money flow. Business School for People Who Like Helping People :Just as it says. Some neat concepts here.